When looking into waterproofing a home, DBS looks at several services that will the outside conditions from getting inside. One of the key services is the WaterGuard® System. This service is a drainage system that captures groundwater prior to it going into the home. It’s generally used in the basement, in the specific case of our Hinckley home, it was used to surround the basement and keep the perimeter of the basement dry, preventing water altogether. The system does not get backed-up, and the drainage is set-up to catch any potential leaks in the basement walls or foundation. 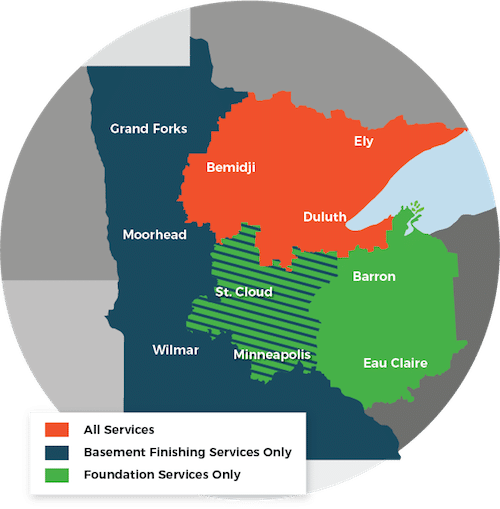 With the WaterGuard® System linked to a functioning Sump Pump to manage water properly and return it back outside, the basement will remain dry for our clients to live in a waterproof, safe home.